After all that's been written about the pros and cons of biofuels over the years, it's fair to ask whether there's anything left to say. It turns out that there is, and a new insight comes from evaluating what actually happens on the earth, that is, on the land where the plants used to make biofuels are grown. 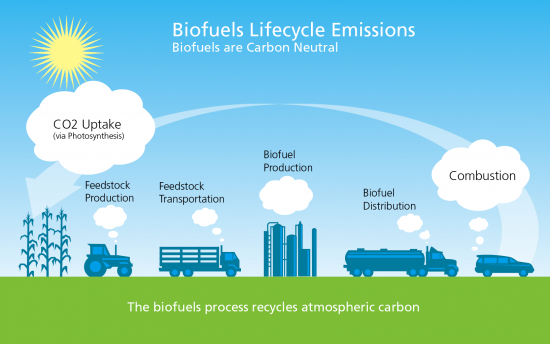 The belief that biofuels are inherently carbon neutral rests on an assumption that the CO2 absorbed when their feedstocks are grown balances out the CO2 emitted when the fuel is burned. That's why it's said that biofuels recycle carbon, in contrast to fossil fuels' one-way flow of carbon into the atmosphere. However, the extent to which CO2 emissions actually get balanced needs to be verified, not just assumed, even as obvious as it may seem. A careful analysis shows that biofuel carbon flows balance out only under certain conditions. Moreover, those conditions are at best only partly met for the biofuels now being used. 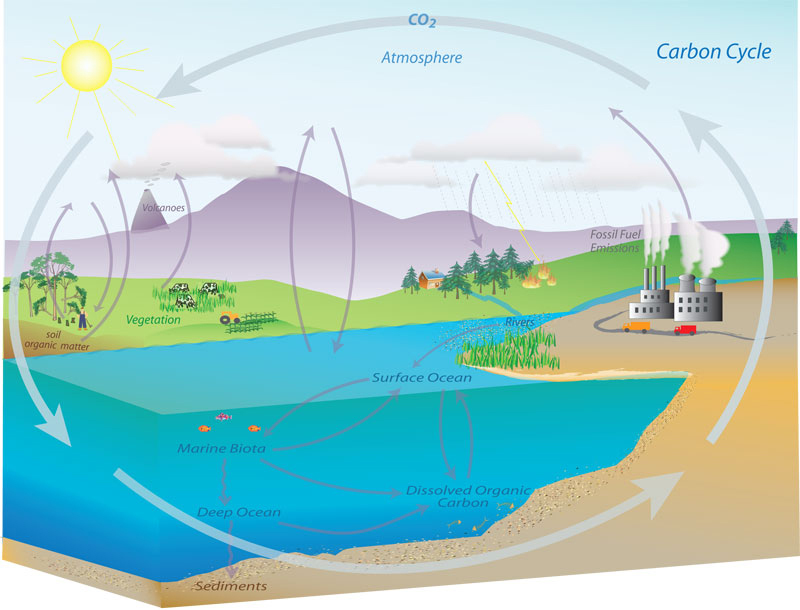 To see why, it is necessary to understand some fundamental concepts about CO2 flows between the biosphere and atmosphere. This post picks up a thread based on comments that Prof. Robert Brown and Prof. Bruce Dale made on my "Don't pitch low-carbon fuel ..." post. Both Robert and Bruce take strong exception to my analysis. They invoke the commonly made assumption that substituting a biofuel for a fossil fuel reduces net CO2 emissions because biofuel use recycles carbon while fossil fuel use does not. (1) Fossil fuels send old carbon on a one-way trip to the atmosphere, thereby increasing the amount of CO2 in the atmosphere. (2) Biofuels use carbon recently taken from the air that is then released back to the air, resulting in no net change in the amount of CO2 in the atmosphere. 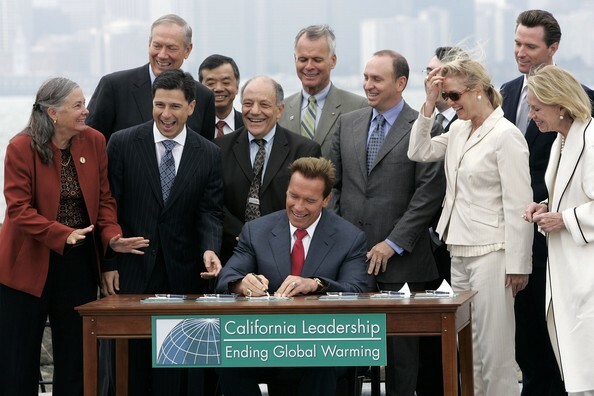 (3) Therefore, substituting a biofuel for a fossil fuel reduces the rate of CO2 buildup in the atmosphere. Although this basic analysis neglects processing emissions, we can leave those aside for the purpose of this discussion. They are not what's at the heart of the disagreement, and in any case processing emissions do get tracked by lifecycle models, e.g., as used in the RFS and LCFS. Are falling fuel prices good or bad? Yesterday in Automotive News, Richard Truett penned a piece titled, "Why falling fuel prices are bad, bad news." 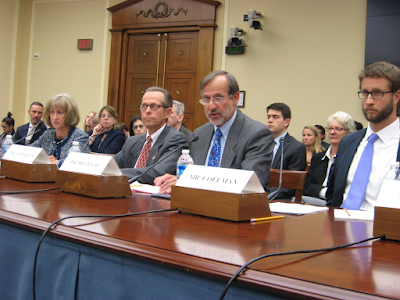 His point was that lower pump prices make fuel-efficient vehicles a harder sell, risking the billions of dollars that automakers have recently invested in hybrids, electric cars and other alternatives as well as lightweight materials and advanced combustion engines. The argument that high fuel prices are good for cutting oil use and carbon emissions follows directly from basic economics. Mr. Truett hopes that oil prices will head back up this year and, guided by economics, many conservation advocates have long called for higher taxes to address oil-related concerns. I'm certainly not one to argue with those principles, but I also believe that lower fuel prices are on balance a very good thing for American consumers and the economy.